Weebly powers about 50 million websites all over the world. The website builder is known for its convenient drag-and-drop editor, ease of use, “box” model and intuitive web building process, which will come up to the needs of experienced users and newbies. Weebly can be used to build different types of websites. Portfolios are not an exception. The website builder is a nice solution for everyone, who has an idea to create and manage a decent portfolio website for personal or business use. If you still have doubts about the reasonability of using Weebly as a portfolio building tool, we have handpicked 10 best samples of such projects to reveal the approach the system applies to the process of web development. So, how good is Weebly, when it comes to portfolio creation? Can it come up to your building needs and expectations? We hope these portfolio website samples will inspire you and prove that Weebly is a decent web publishing solution. Effective brand development is a must-have for any business. This is where Brand-id.com.au will be of great help. This is the website of the Melbourne-based agency involved in brand identity development and promotion. Apart from providing detailed information about the services and the major mission of the company, the website grants access to their rich portfolio, featuring creative ideas and case studies. You can have a look at the stages of the brand development process to know what to expect from the company. To get in touch with the company representatives, you can either use the contact details or fill out the online form available at the website to save your effort and time. Bayareagraphicdesigner.com is a website of the graphic design agency known as Alchemy. The agency focuses on branding, graphics, web design, print/UI and social marketing. The website of the studio covers the broad spectrum of nuances related to the company performance. This is the right destination for clients, who are about to choose a professional agency to work with, but cannot decide on the best option. By browsing the website, you will come across the company info, customer reviews and, of course, a nice portfolio with case studies the company is proud of. You can also look through the list of clients the agency has worked with. It’s also possible to get in touch with the company by filling out the online contact form, specifying the niche you are interested in. The first one is Rachelbrenke.com. Frankly, this is my favorite sample. 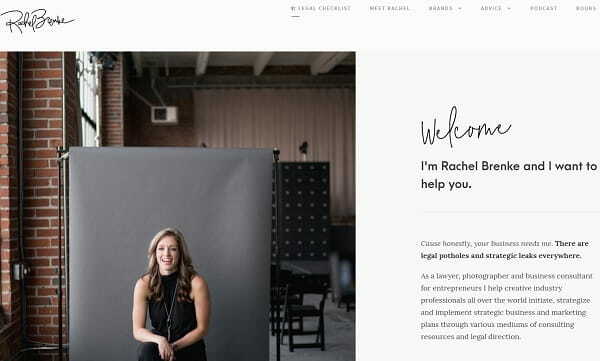 The site was created by Rachel Brenke, who’s an author, photographer, lawyer and business consultant for photographers and bloggers. Through the website she’s offering her extensive expertise. We’ve featured this website earlier in our Weebly example websites compilation. This website is a nice combination of Weebly landing page and portfolio. All Rachel’s main purposes are consistently shown and at the bottom of the site you can see button “Hire me”. I think this website is deeply elaborated. When it comes to portfolios, large images make powerful statements. WendyHarropEvents.com uses a ‘hero header’ – a fullscreen photo with a logo and navigation at the top of a website. The image Wendy uses makes it clear to her site visitors what kind of services she offers. Note the effectiveness of using a contrast of dark text and logo with light colors in the photograph. So if you’re living in Boston area and planning marriage, you can courageously use Wendy Harrop Events as service. By the way, our reviewing site has lots of examples of organized wedding days. PixelChromePhotoTours.com is a website of Jeremy Woodhouse. Jeremy’s award winning photos have appeared in print all over the world. The homepage of Jeremy’s website has a fullscreen image with white large type that instantly captures your attention. The type remains easy to read even on light parts of the image, thanks to its size. The website has lots of engaging content that is presented in a non-pushy way. What disappoints – is that such really cool website has blog update dating August 2015. The website author should more carefully monitor its blog. And in my opinion, at least 2-3 tours must be presented at the main page as a proposal to buy them. The design of Photography-timeless.com is extremely simple, but that’s what makes it so easy-to-navigate and eye-pleasing. 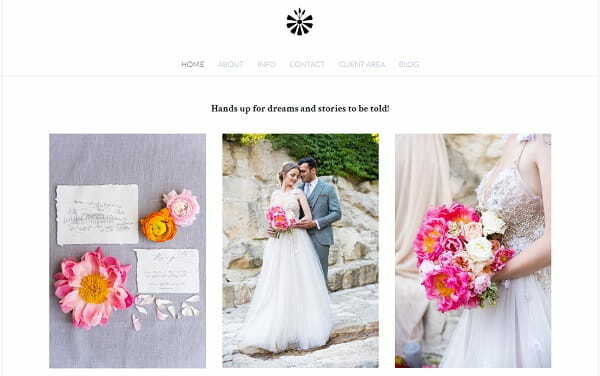 With a simple menu, Martina Hohnjec – the owner of the site – showcases her best photography works and bespoke wedding-related products. One the most effective features of the site is a photo slider available at the homepage. It comes with the Pause option to make it easier for each user to see each photo in details and assess the professionalism of a photographer. Here you can find not only photographer portfolio, but also an ongoing blog, and detailed FAQ as to what you should do if you want to cooperate with Martina. Another good idea for this website is the “Check my availability” button. The contact section involves the online form, where a user should specify the type of photo session he/she needs. This speaks in favor of a photographer’s credibility, who wishes to provide each client with the best photography experience ever! Next up is Benk.com.au, a portfolio website created by a Melbourne-based artist, illustrator and animator. I really love the creative use of the slider and video: these keep the visitor engaged and immediately showcase Benk’s best artworks. To tell the truth, this website looks a little simple, it would be nice to make at least short descriptions to author’s painting. But the “Buy” button is on its place – at the first screen, as it has to be. The portfolio of the author is smartly subdivided into the categories based on the year of their creation to demonstrate the professional advancement of the artist. The illustrations that are positioned against the light violet background of the website, masterfully depict the interrelations between nature, humanity and technology – the areas that will be interconnected for a lifetime. Great job, Benk! 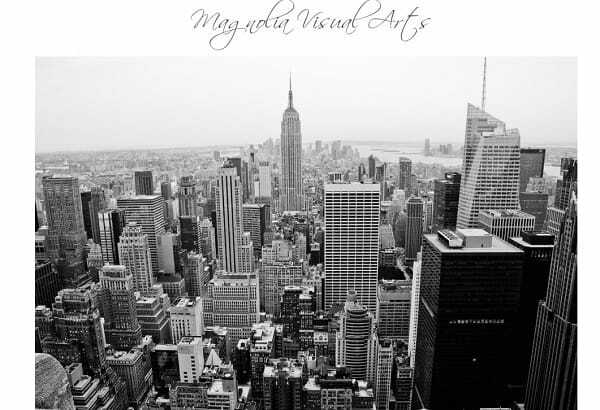 MagnoliaVisualArts.com is a website created by Magdalena Biskup, yet another photographer. The website lays out her best pictures in a nice, professional format. The clean and neat design helps visitors focus on the artworks instead of distracting their attention to the unnecessary website elements. This is what makes the design simplicity and minimalist ideas the key to success of this portfolio website created with Weebly! However, the bottom menu is nearly invisible. At first look, I thought that it’s a photo description. Small scale font style should be larger and it’s desirable to place it on the top. This will focus the attention of visitors on those categories of photos they are interested in most of all, reducing the waste of time and effort. Anyway, this is a pretty nice work that will surely be a success! 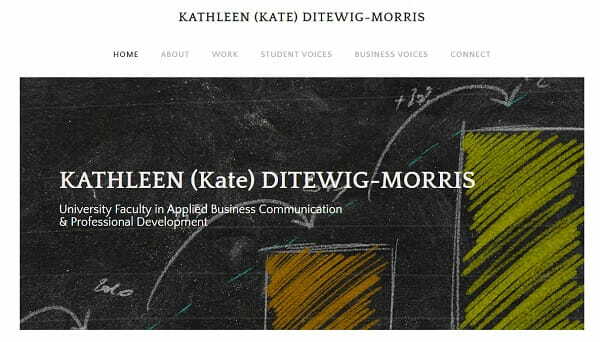 Ditewigmorris.com is a website of Business Communication instructor. The site is where Kate displays her downloadable CV, showcases student and business testimonials and tells her story. It’s well-structured and clean. Each element of the site seems to be in its own place to provide the visitors with that very information they need about the instructor and her work. The homepage of the site is accomplished in the subtle grey and black color scheme with a large HD photo of the instructor and the citation that is the major message revealing the essence of her work. The main menu of the site is simple and easy-to-use for everyone. With only 5 sections, it creates a nice impression and makes it easy for a visitor to browse through the website. This is how a business website powered by Weebly should finally look like! The examples depicted above are the best proof of the fact that creating a portfolio website with Weebly is definitely a smart idea that will result in the increased customer base and decent look of your image collection! Are you a Weebly user? Share with us your experience and show how perfect is your Weebly website!